The Church is not represented by the beauty of its Architecture. Although aesthetically, this is one of its main features. 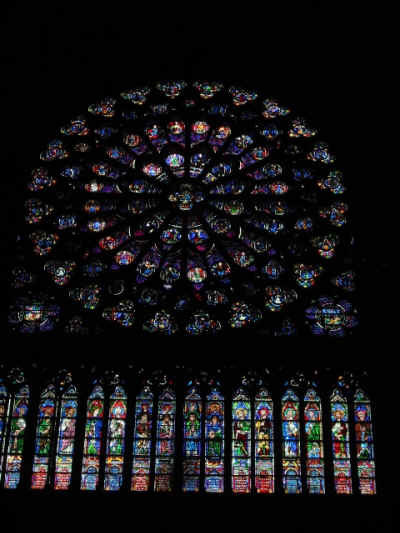 The beauty of God flows through its Artistry, Sculptures and windows of stained glass. You will pause for a moment when looking and hope the experience will last. The music and colour will unlock spiritual passions and connect you to the divine. Enjoying all that is beautiful in this world is never a crime. However we must never forget that it is warmth and love that brings the Church alive. It is the experience of love that will ensure the Church will thrive. Beauty, poetry music are all expressions of the ethereal and divine. It is through love and art that God will always shine. 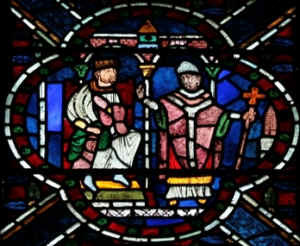 Generations centuries ago placed lovingly the stained glass in place. Why do fundamentalists so earnestly want to denigrate and deface? Embrace all that is beautiful and love all the people. It is more valuable than a golden steeple. On this point, I promise not to lecture.